Imagine the irony, Alonso gets tired of waiting. Stoffell WINS race, after race !! If that happens, I would say good for Vandoorne. Until Ron sold out completely to Honda. Vandoorne would be winning races in the Ferrari or Mercedes. 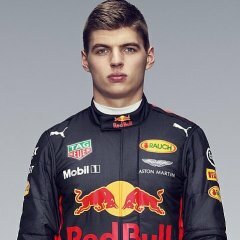 Alonso makes him look worse than he actually is. Nothing more to it. The unreliable, low power Honda PU doesn`t help either. The Honda PU IS definitely improving - NOT a hard task really is it !! Remember the last time Honda were in the sport with McLaren. Mclaren won EVERY race, except 1. So he is holding onto the title winning cars as collateral. He needs also approval of F1 doctors that he will not pose risk to other racers.